IDBI Bank has appointed Hemant Bhargava as non-executive, non-whole timechairman. Bhargava is currently the Chairman (in-charge) and Managing Director of Life Insurance Corporation of India (LIC). The bank stated that Bhargava has been appointed for 3 years or until he continues in his position at LIC. The life insurer is now the majority shareholder in IDBI Bank with a 51%stake. Union minister Prakash Javadekar launched ‘Scheme for Higher Education Youth in Apprenticeship and Skills’ (SHREYAS) for providing industry apprenticeship opportunities to fresh graduates. This scheme is a programme basket comprising the initiatives of three central ministries, including the HRD, Ministry of Skill Development and Entrepreneurship, and the Ministry of Labour and Employment. 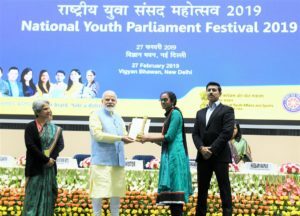 The National Youth Parliament Festival 2019 awards were given by Prime Minister Narendra Modi at Vigyan Bhawan, New Delhi. It was organised by the National Service Scheme (NSS) in collaboration with Nehru Yuva Kendra Sangathan (NYKS), under the Ministry of Youth Affairs & Sports. 1st position– Shweta Umre from Maharashtra. 2nd position– Anjanakshi M.S from Karnataka. 3rd position– Mamta Kumari from Bihar. The “Khelo India” app, which has been developed by Sports Authority of India was also launched at the event. The Central Zone Power Distribution Company (CZPDC), Bhopal and West Zone Power Distribution Company (WZPDC), Indore were conferred with the “Saubhagya Award” under Pradhan Mantri Sahaj Bijli Har Ghar Yojana at the National Conference of Energy Ministers by the Union Minister of State for Energy, R.K. Singh. The award includes a cash prize of Rs 100 crore each. 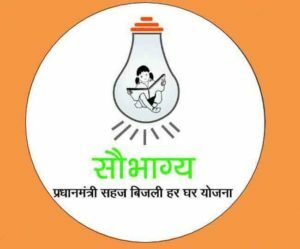 The PM Sahaj Bijli Har Ghar Yojana- Saubhagya was implemented by the Central Government in September 2017,and intends to provide electricity to all Below Poverty Line (BPL) houses of rural and urban areas. The Ministry of Civil Aviation organised a conclave on the theme ‘flying for all’ where more than 200 delegates including industry leaders and regulators deliberated on issues and opportunities in the sector. Civil Aviation Minister Suresh Prabhu stated that the Conclave was about the future of Indian aviation, bringing together industry leaders, government and regulators for setting the tone and propelling us to realize our Vision-2040. The 16th edition of BioAsia 2019 Asia’s largest biotechnology and life-sciences forum was conducted in Hyderabad, Telangana. It was inaugurated by the Governor of Telangana E.S.L Narasimhan. The theme of the conference was ‘Life Sciences 4.0 – Disrupt the Disruption’. ‘Life Sciences 4.0: transforming health care in India’ was launched by EY. The report discusses the disruptive impact of the Fourth Industrial Revolution (Industry 4.0) on the health care ecosystem in India. 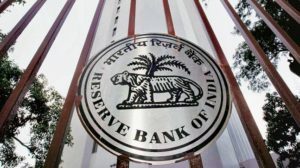 Reserve Bank of India and Bank of Japan have signed a Bilateral Swap Arrangement (BSA). The BSA was negotiated between India and Japan during the visit of Prime Minister Narendra Modi to Tokyo in October 2018. The BSA provides for India to access 75 billion US dollars whereas the earlier BSA had provided for 50 billion dollars. The BSA was approved by the Union Cabinet in January. India can access the agreed amount of 75 billion dollars for its domestic currency, for the purpose of maintaining an appropriate level of balance of payments or short-term liquidity. 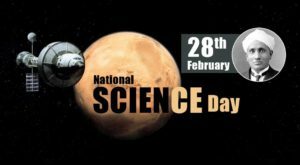 National Science Day is celebrated across India on February 28. Famous Indian scientist Sir Chandrasekhara Venkata Raman or CV Raman discovered the Raman Effect on this day in 1928. For his discovery, Sir CV Raman was awarded the Nobel Prize in Physics in 1930. In honour of this discovery and as a mark of tribute to the scientist, National Science Day was marked for the first time on February 28, 1987. This year the theme for the National Science Day is ‘Science for people and people for science’. 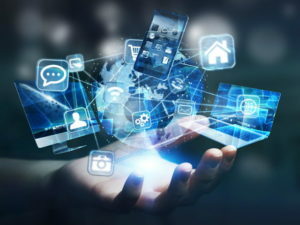 India ranked 47th in the ‘Inclusive Internet Index 2019’ which is prepared by the ‘Economist Intelligence Unit (EIU) for Facebook. The index was expanded to include 100 countries which will represent 94% of the world’s population and 96% of global GDP. Sweden topped the index whereas Singapore ranked 2nd and the USA ranked 3rd. India maintained its previous year rank. 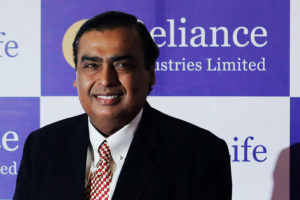 With a net worth of $54 billion, Reliance Industries Chairman Mukesh Ambani has broken into the global top 10 richest billionaire list compiled by Hurun Research. The Hurun Global Rich List 2019 is topped by Amazon chief Jeff Bezos for the second year in a row, while the senior Ambani is placed 8th with a network of Rs 3.83 trillion. Ambani is the only Asian among the top 10.